United Airlines and Wyndham Worldwide are launching a program to reduce carbon emissions associated with corporate air travel. Wyndham has agreed to become the launch partner for United's Eco-Skies CarbonChoice corporate carbon offset program. The program enables the airline's corporate customers to track and offset the emissions stemming from their business travel and freight shipments on United at the enterprise level. 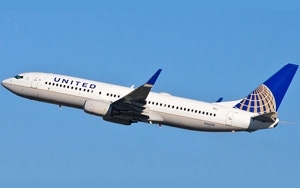 United is the only U.S. airline offering a corporate carbon offset program, says Angela Foster-Rice, United Airlines managing director of environmental affairs. "This program underscores United's efforts to lead commercial aviation as an environmentally responsible company,” Foster-Rice says in a release. Through the program, participating corporate customers receive customized enterprise-level carbon emissions reports and can purchase offsets to counterbalance the emissions associated with their transport, allowing them to ship and travel carbon neutral on United. The offset program uses actual flight level data — recognizing aircraft type, routes, fuel consumption, payload, and customer-specific business travel and cargo shipments on United. The offsets are available through United's partnership with global NGO Sustainable Travel International. Wyndham’s commitment to sustainability extends across all facets of the company, says Joanne McNellis Coelho, senior manager, global travel at Wyndham. "Practicing sustainability doesn't just mean turning off the lights or using low flow faucets,” Coelho says in a release. “It's about being innovative and working with colleagues across all functions of the company and with key supply chain partners to make a difference." Wyndham's corporate offset purchase will be invested in the GreenTrees' Advanced Carbon Restored Ecosystem (ACRE) project along the Mississippi River Valley. To date, GreenTrees and its landowners have planted over 36 million trees on nearly 100,000 acres along the Mississippi Alluvial. 1 comment about "United, Wyndham Reduce Carbon Footprint". Karen Ticktin from brandthis, July 29, 2015 at 10:30 a.m.
Genuine sustainablity is a win win. Consumers are happy. The environment is happy.